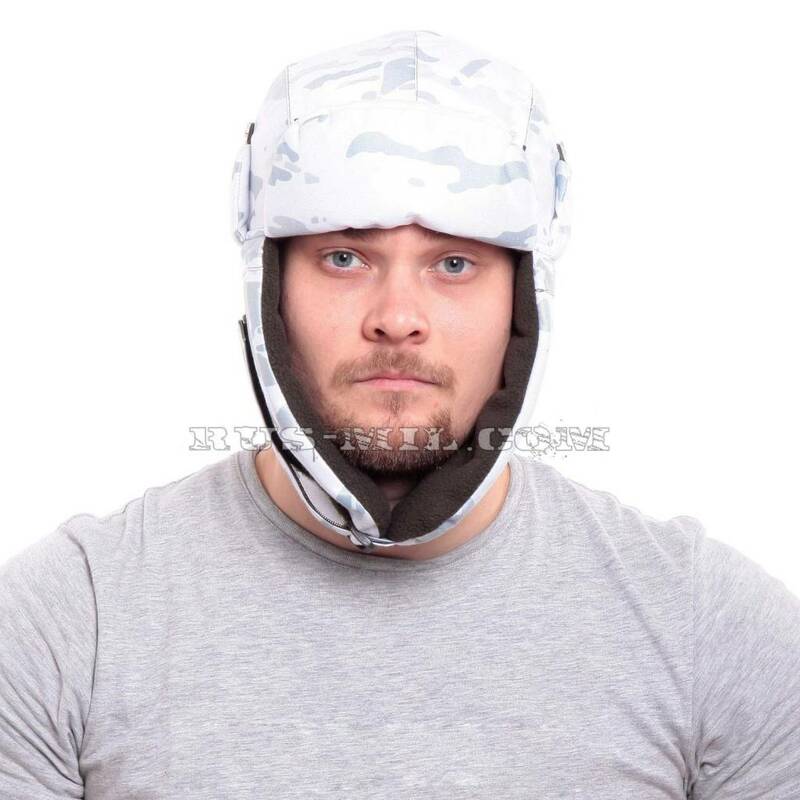 Russian winter hat Keotica "Shugun" with protection against water and wind, with camouflage pattern "Multicam alpine"
"KE Shugun" – an updated improved ushanka winter hat. Outside from the wind and water, the product is protected by a membrane. This is a combined material. 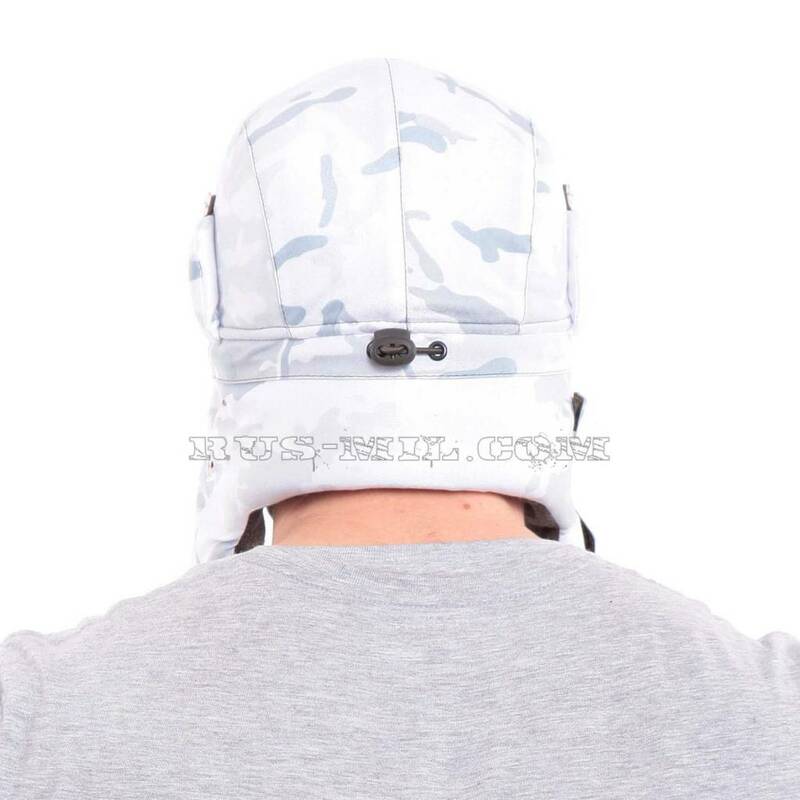 The top layer of the membrane – from colored knitwear with camouflage pattern. does not change its properties in the cold. As a heater manufacturer used non-woven fabric hollofayber software. This material passes air and steam, does not create obstacles to the circulation of warm air. Hollofiber software does not crack, does not get off, dries quickly. Ears caps, visor and occipital lapel manufacturer trimmed from the base material. Inside the russian winter hats ushanka is lined with double-sided fleece. The Russian winter hat mens ears of the caps are fixed under the chin with a braid on the "Velcro". 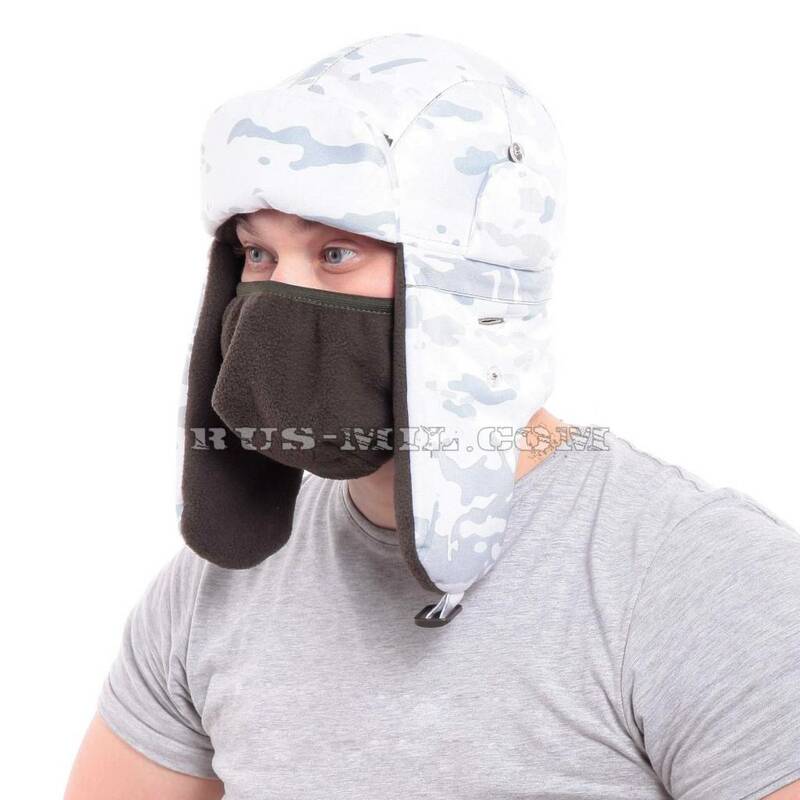 This Russian winter hat is great for a membrane Gorka winter suit. In addition to large ears, the hat has small ears for communication headsets and improved hearing. It's amazing! This hat is very thick, I'm not cold in it at -30 in Canada, when I go hunting with my friends. I like it very much; I am very glad that I purchased it at this store. good product quality. fast delivery! good seller. quality thing, fast delivery!